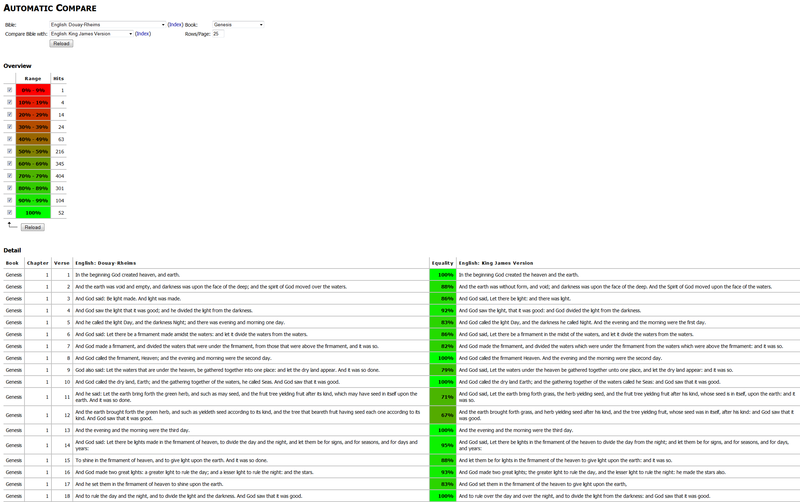 This example shows the table of contents for the "American Standard Version". This example shows all words of the "American Standard Version" beginning with "G" sorted descending by how often the word is used in the bible. Remember that you can always click on a word to see all verses featuring the word. 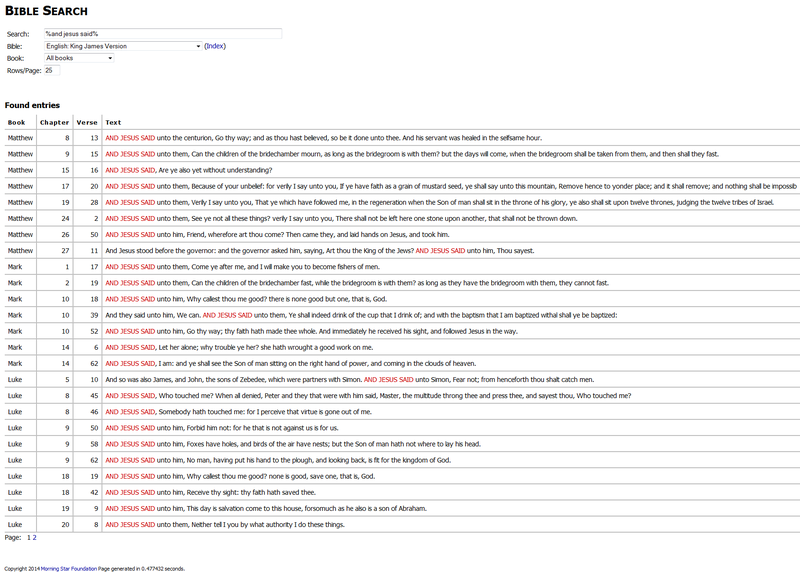 This example shows all verses in the "King James Version" featuring the phrase "and Jesus said". 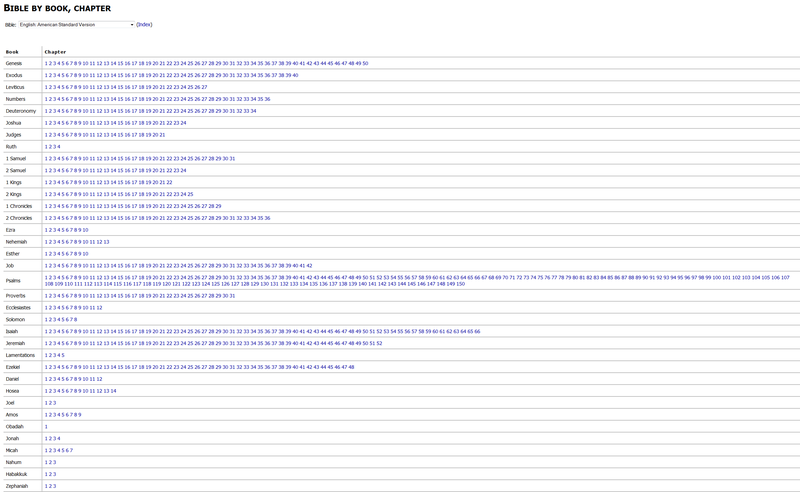 Note that the searched words get marked in red and uppercase. 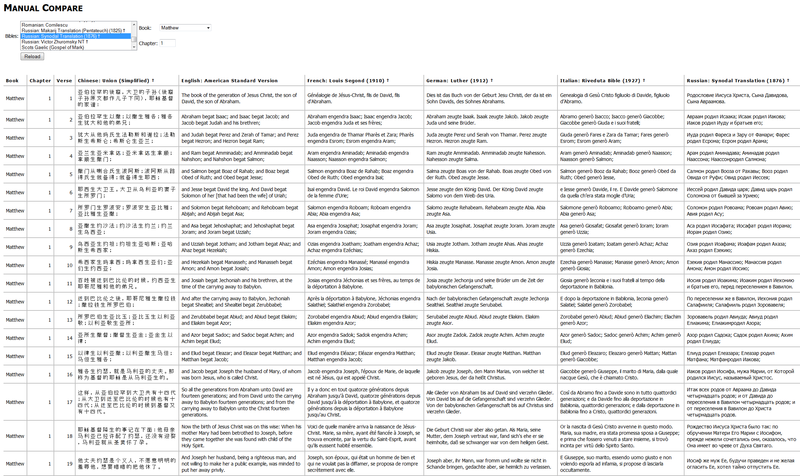 The example in the first screenshot compares the structure of the "World English Bible" with the "King James Version" and displays all books, chapters and verses which doesn't exists in "World English Bible". 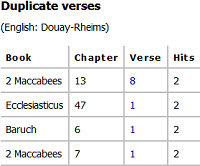 The second screenshot shows the duplicate verses of the "Douay-Rheims" Bible. This example displays a Chinese, English, French, German, Italian and Russian Bible in parallel. 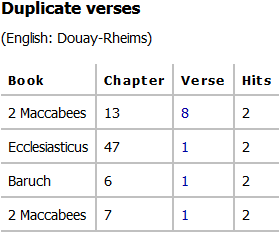 This example compares the "Douay-Rheims" with the "King James Version" and displays the estimated equality of the verses. Remember that you can also deselect certain ranges in the overview, so they will be not displayed in the details.